Ibogaine is stuck in limbo. Yes, anecdotal reports of addiction-breaking power go back some 30 years. There have been some intriguing animal studies and initial studies on humans. And the federal government has spent more than $2 million on preliminary ibogaine research. More than 150 papers about ibogaine have appeared in scientific journals,said Dr. Kenneth Alper, who directed a recent conference on the drug at the New York University School of Medicine. “This is a drug development project in which a lot of work has already been done,”he said. But ibogaine is stuck short of the final step. Nobody has done the big, more elaborate studies that could convince mainstream addiction specialists that the stuff really works — or doesn’t. And neither the government nor the pharmaceutical industry is jumping in to take that on. Ibogaine advocates say it suppresses the painful withdrawal symptoms that can make it difficult to give up physically addictive drugs. Furthermore, they say, ibogaine halts or reduces drug cravings for weeks to months. That can be long enough for a person to get psychological help and learn to live clean and sober. What makes the ibogaine story even more curious is the experience of taking it. First come visions: four to eight hours of fantasies like floating in space or fast forward reviews of one’s life. For another eight hours or so, addicts mull the meaning of those visions, a step some advocates say provides insights that promote staying clean. Ibogaine comes from the roots of a four-foot-tall, flowering African shrub called Tabernanthe iboga. Its root bark is chewed in rituals in the Gabon. Chew enough, it is said, and you see your dead ancestors. Just a little prevents fatigue. Ibogaine was purified from the root bark around the turn of the century, and low doses were sold in France from 1939 to 1970 as a tonic for fatigue and depression. The notion of using it to break addiction goes back to 1962. Howard Lotsof, a 19-year-old New Jersey history major, had been using heroin for a few months. One day, just to see what would happen, he tried some new stuff called ibogaine after a chemist friend had mentioned it. “Thirty-three hours later I was no longer a heroin addict,” recalled Lotsof. Five of the seven addicts in his crowd who tried a single dose stopped using heroin for about six months without withdrawal symptoms, he said. He didn’t jump on the discovery right away, he said, because, “What does a 19 year-old kid know about anything?” But in the 1980s, he patented ibogaine treatments for a variety of addictions and set out to interest pharmaceutical companies, the government and scientists. 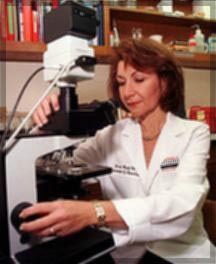 Yet as Glick and others looked at ibogaine’s performance in lab animals, they found evidence that it did act against addiction to cocaine, alcohol and opioids, the class that includes heroin. Their results began showing up in scientific journals about a decade ago. Around that same time, two addict self-help groups began offering ibogaine treatments to a few heroin addicts in the Netherlands, with positive results. Frenken’s group found that seven of the eight addicts it treated stayed clean for an average of six months. The eighth addict said he just liked the lifestyle of heroin use. But not all the history of ibogaine is so positive. Rat studies suggested it may kill certain brain cells, a concern Glick now calls overblown. And the field has been haunted by the deaths of two women who took it. One, a 24-year-old heroin user, died about 19 hours after ibogaine treatment in 1993. The cause of death wasn’t established, but she might have taken heroin after the ibogaine, and some evidence suggests ibogaine increases toxic effects of heroin. Previously, a Swiss woman who’d taken ibogaine during psychotherapy in Europe died a few hours after. She had a history of heart disease. Those deaths were one reason that advisers to the National Institute on Drug Abuse recommended in 1995 that NIDA not launch an extensive program of ibogaine research in humans. The brain damage in rats was another, and some dog studies suggested a risk of seizures and cardiac arrest. Some advisers also were unimpressed with the human evidence that ibogaine actually works. Overall, the consultants “just felt it was essentially going to be an expensive, time-consuming, ultimate failure,” said Frank Vocci, NIDA’s point man on ibogaine. Vocci stressed that NIDA has not declared ibogaine shouldn’t be tested in people, just that NIDA won’t pursue that research. The institute remains open to paying for such studies by others if the proposals get favorable review from outside scientists, he said. Scientists disagree on whether such applications have much chance of a favorable review. Glick suspects not, saying ibogaine’s reputation has been too tarnished. What’s more, he notes, ibogaine emerged not from a research lab but from the experiences of addicts, not exactly the royal road to scientific acceptance. Lotsof hasn’t been able to sell drug companies on ibogaine either. He says company officials have given him a variety of reasons for not touching it, such as legal liabilities in treating a population more prone to dying than usual, the stigma attached to drug abuse and lack of profit in a medicine taken only once or a few times. The latest news on ibogaine comes from a clinic on the Caribbean island of St. Kitts, where the drug is being used with addicts who weren’t helped by conventional treatment. They were “self-destructing, at the end of the road…. This thing really spins them around,” said Deborah C. Mash of the University of Miami School of Medicine. She has studied more than 80 addicts treated with ibogaine at the clinic. While her work is preliminary, she’s finding it “extremely effective” in blocking withdrawal from opiates like heroin and morphine, as well as the “crash” from stimulants like cocaine and amphetamine. “It’s a very gentle detox,” she said. What’s more, she said her studies suggest a single dose of ibogaine can block craving for opiates and cocaine for at least 30 days afterward. And it lifts depression and anxiety, making addicts more amenable to counseling, she said. Ibogaine also shows effectiveness against withdrawal and craving with alcohol dependence, with less evidence for help in kicking crack cocaine and no sign of an effect on smoking, she said. But Mash emphasized she has studied too few patients to make definite statements. So what now? Lotsof figures ibogaine will break out of its limbo someday, but he says he doesn’t know how. For scientists, ibogaine still presents some basic puzzles. How does it produce its apparent effect on addiction? How can the effect persist long after the stuff is gone from the body? Are the dream-like visions important or just a side effect? And is ibogaine just a stepping stone to something better? Glick and Mash think the future lies not with ibogaine but with related substances. Glick is studying a synthetic derivative called 18-MC in rats. And Mash thinks that noribogaine, which the liver makes from ibogaine, is the real source of the anti-addiction effects. In any case, Mash hopes scientific data from her work on St. Kitts will provide the rationale for somebody to pay big money — finally — to develop noribogaine or some other ibogaine-related substance. “I would hope we can get enough of a tailwind going here that we can launch this boat,” she said.